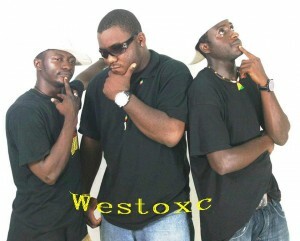 WESTOXC is an Afro-beat, Hip Hop trio based in Kumba. 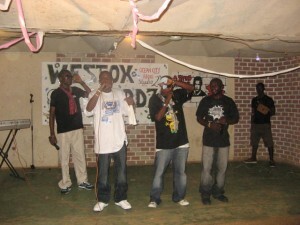 This prolific Hip Hop group has been creating an indelible foot-print in the hip hop music scene in the city of Kumba. NexDim had the opportunity of catching up with the group at their WESTOX RECORDS building opposite Kumba Main Market for an exclusive interview. NexDim: How did the group Westoxc come about? Westoxc:’’ The group started some years back in 2007 here in Kumba. 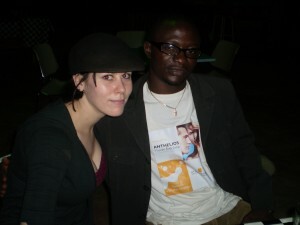 Our first meeting was at an album launch. I met with Toxic and we decided work on our talents. West Don owned a computer at home and he build up a local home recording studio. We were all sticking around to produce demos. After having some freestyle shows at various locations, we thought it was right time to form a group. 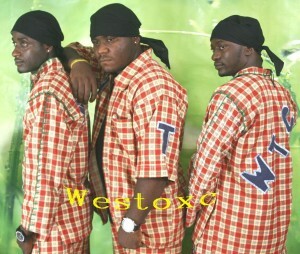 That was how WESTOX all started .WESTOX is just a merge of the first three characters of our names, WES and TOX. Clo later featured in the scene and was added as a new member of the group to make it WESTOXC. Clo is mostly at the background to give backup vocals because his style is too soft and soulful and we do the hard punch style. NexDim: how do you think you can capture the market and how is your music targeted. NexDim: How is the Hip Hop music scene in K-TOWN? Westoxc: Hip Hop music is really evolving tremendously. The response was initially slow but gradually with advent of hip hop shows and radio programs like the one DJ WEST is hosting ‘’Street dreams” on Ocean City Radio, the public is beginning to gain some confidence and credibility in our local products. The media is therefore playing a valuable role in promoting the hip hop culture in Kumba. So far, sales of albums released have been good and we believe they can only get better and better’’. NexDim: how do you think your music can penetrate with the massive influence of Nigerian music in the market? 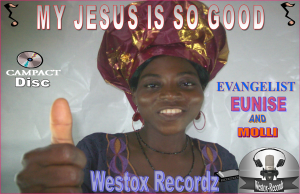 Westoxc:the Nigerian influence in our local Cameroonian music scene does not pose any threat to us. It’s just a matter of being unique and that’s what we are. We are coming with a brand new style and we are just different from others. We sound different with our fuse of local Cameroonian dialects or languages and pidgin in our music. We bring a completely unique atmosphere. So with that we can fit in the market comfortably’’. NexDim: What are the difficulties you face in the industry? Westoxc: the major constrains we are facing is the getting executive producers or people of goodwill who know the business to invest in the hip hop music scene in Cameroon. We need such people to invest so that we can come out with quality products. I think if we had these investors, we would have been way too far than the Nigerians. One main plague we face is piracy. NexDim: so what have you devised to combat piracy? Westoxc: basically, it’s been hard to fight piracy. What we think we will do is to ask these guys to sympathize with us making them understand how much we have put in to come out with the product. However that is at our own level but we think so far the SOCAM framework is doing great to eradicate this nightmare. NexDim: Westox also owns a record label. What works have you done so far? Westoxc:We have produced Ayi Rasta, Big G whose album has been great in the market, The ZHET,UF4,Evangelist Eunice and Noble DEE. Westox functions as an integral part of Ocean city radio and it is called Ocean City Studio 2. NexDim: What are your final words? Na who dem this too nor?